The fact that many people's backs and feet hurt is news that's millions of years old. It's because of the way we have evolved, uniquely from other mammals, that we also have a lot of aches and pains that our close relatives do not experience, anthropologists said last weekend at a briefing at the American Association for the Advancement of Science annual meeting. "We’ve known for a long time, since Darwin’s time, that humans have evolved, and that humans are not perfect, because evolution doesn’t produce perfection," said Jeremy DeSilva, anthropologist at Boston University. 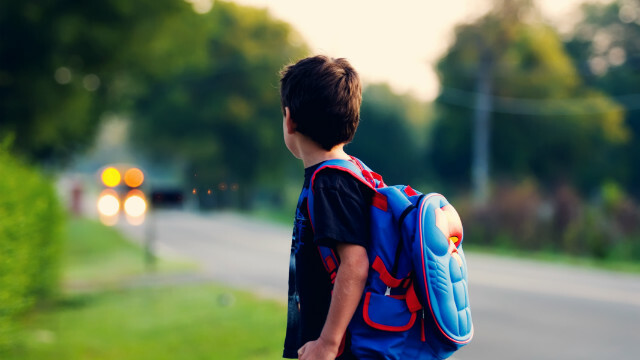 Experts recommend a backpack weigh less than 15% of a child's body weight. It’s back-to-school time, and children nationwide will be lugging books to and from classes, many of them wearing backpacks. But beware: Those heavy bags draped over your child’s shoulders could be the source of acute or even chronic back pain, says Dr. David Marshall, Medical Director for Children’s Health Care of Atlanta Sports Medicine Program. What could be causing my husband's hip and lower back pain? Last winter, my husband fell on some ice. Instead of landing on his backside, he landed on his left hip. He was in a great deal of pain in both the hip and lower back, and went to an ER for X-rays, which came back negative. The pain persisted for the following two weeks, and eventually he was referred to an orthopedic surgeon, who did MRIs and a bone scan (both negative). After a round of PT with no decrease in pain, he was referred to a physiatrist, who diagnosed traumatic facet syndrome. After another round of PT and injections to numb the spinal nerves, my husband is still in pain. He was referred to another physiatrist, who still insists it is facet joint syndrome and prescribed daily light stretching. The pain is getting worse, not better, and even taking a pain medication like Percocet does not totally relieve his pain. Is there anything else this could be? Do we go for a fourth opinion?